Minimaul let me check out an alpha of his SRTT save editor earlier and it’s coming along rather nicely. 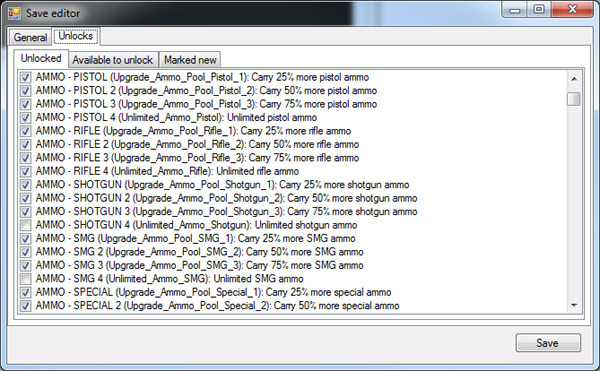 It currently allows you to toggle upgrades and other unlocks on and off, and he should have other features like custom outfit export/import working soon as well. I modded the open world freefall physics to mirror the Sad Panda Skydiving physics from the Genkibowl VII DLC by request. You can grab the mod here to try it out and get your superman on. Are you ready for even more zombie fun? How about main characters spawning with zombie behavior! Yes, you too can have zombie Pierce shuffling around and mauling and eating npcs! Encogen has just updated his Gang Plus One mod with zombie homies! Now you too can have an entire army of the undead at your disposal on every controlled street corner instead of just calling in a small team of them. The best thing? They still act like zombies and rip everything to shreds! Gentlemen of Steelport v1.0 Beta 1.2 Release! This new build of GoS fixes the incompatibilities issues caused by the Genkibowl VII DLC. It also installs a little bit differently than you might be used to. You also want to make absolutely 100% certain that you clear any previous GoS mods out of the install folder first so there are no conflicts when using these new patch files. As always, you can grab the latest and greatest beta releases from the download page on my site. New DLC Breaks Wardrobe Color Changer! The new Genkibowl VII dlc has broken the wardrobe color changer mod included with the latest Gentlemen of Steelport compilation. The issue is something I should be able to easily fix, but in the meantime you can simply rebuild GoS and use the advanced menu to deselect that particular mod. More details and an updated patch coming soon. The Mission Replay mod is also confirmed broken so remove that one as well. I’m working on a fix for both issues that should be out today. THQ has issued an official statement refuting the rumors of the cancellation of their 2014 lineup. “THQ has not cancelled its 2014 line-up, and has not made any decisions regarding the planned MMO. As part of the ongoing review of our business, we have made decisions to ensure that the company is strategically addressing the most attractive markets. As we have previously announced, we have dramatically reduced our commitment to the kids’ boxed games sector which leads to a significantly more focused release schedule moving forward. Our slate for calendar 2012 and beyond is focused on high-quality core games and continues to build our digital platform and business. We are excited for our pipeline of original and high-quality content along with our relationships with some of the best talent in the industry. I’m personally taking both the initial rumors and THQ’s new statement with a grain of salt. I sincerely hope that all of THQ’s development studios and the people involved come out okay, no matter what happens. There’s been some industry rumors flowing this morning concerning THQ being dead in the water which leaves the fate of Volition and the Saints Row series in question. Jesus. Umm, hope the people working on the Warhammer MMO aren’t fired and are moved on to Darksiders 2. What 2014 titles does THQ have? INsane is 2013, right? Same with Devil’s Third? Hmm, what about Homefront 2? I don’t think people quite understand. While looking through the file names for the upcoming DLC, I was able to make some guesses as to the upcoming content. Be warned that this info and speculation does contain spoilers. Rather than post it here, you can read my post on the Penny arcade forums with all the info laid out and spoilered correctly. Encogen released a really cool Saints Heroes mod that lets you choose almost any npc in the game in your homie selection screen. You are currently browsing the idolninja.com blog archives for January, 2012.